While I continue to ponder yesterday’s conundrum, I thought I’d go ahead and start posting about what we’re up to in the meantime, otherwise it’ll all pass by and I’ll forget or get wrapped up in something else (like my new obsession with revamping old furniture… watch this space). 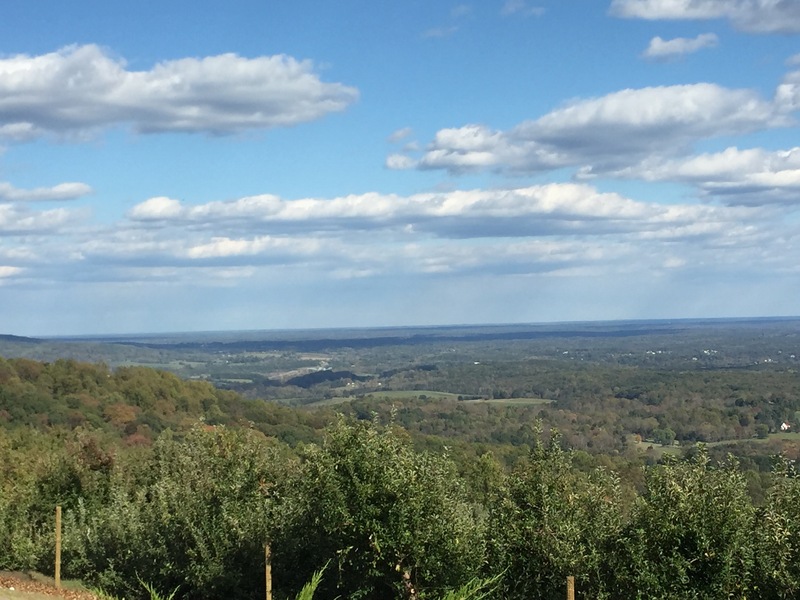 Last weekend, N and I ventured up into the foothills of Appalachia, just outside Charlottesville, to a beautiful orchard called Carter Mountain. 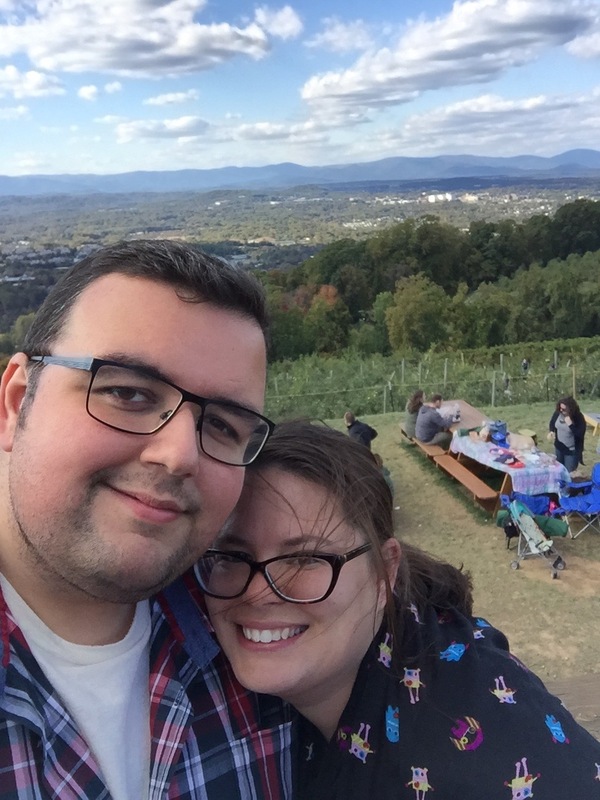 It was our first real exploration of the area, since we’d only finally gotten a car the day before, so we were pretty excited to begin with. 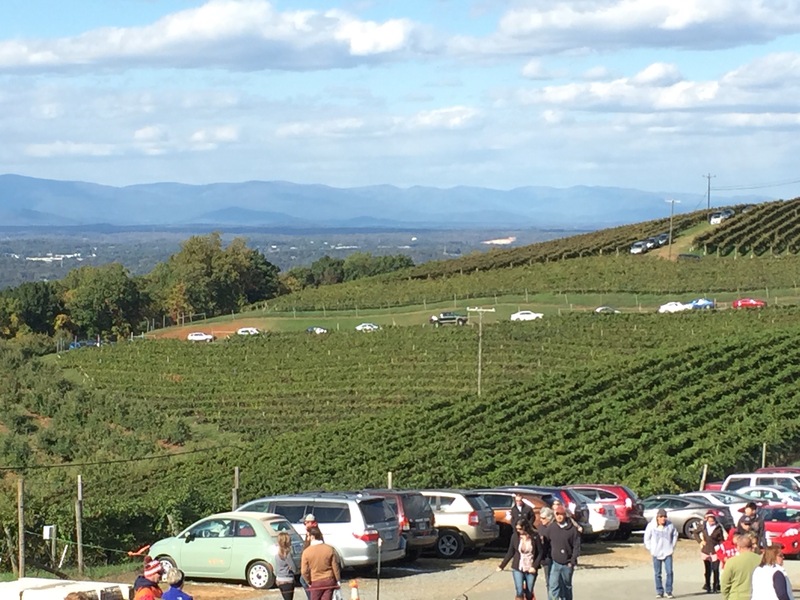 But when we drove up the (long, somewhat scary, steep) drive to Carter Mountain Orchard, we got even more excited. Stepping out of the car, we were greeted by the most amazing view of the surrounding area and the mountains further away. Does it get much prettier than that? So far it hasn’t! 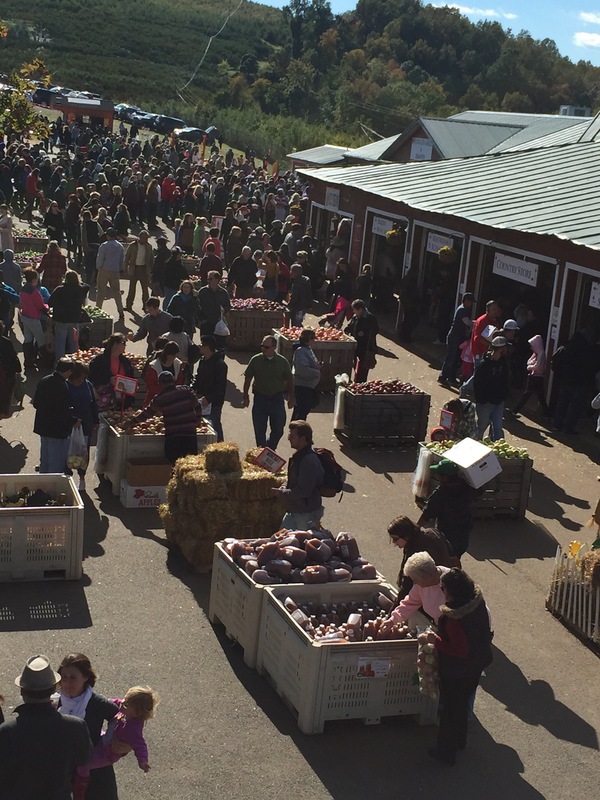 We’re in the midst of prime apple harvest season, and Carter Mountain Orchard didn’t disappoint on variety. We wound up with a bag of two different types of apples (all from their orchard, natch), all of them so juicy and delicious. Honestly, I like apples, but these were out of this world. Completely different to supermarket apples. 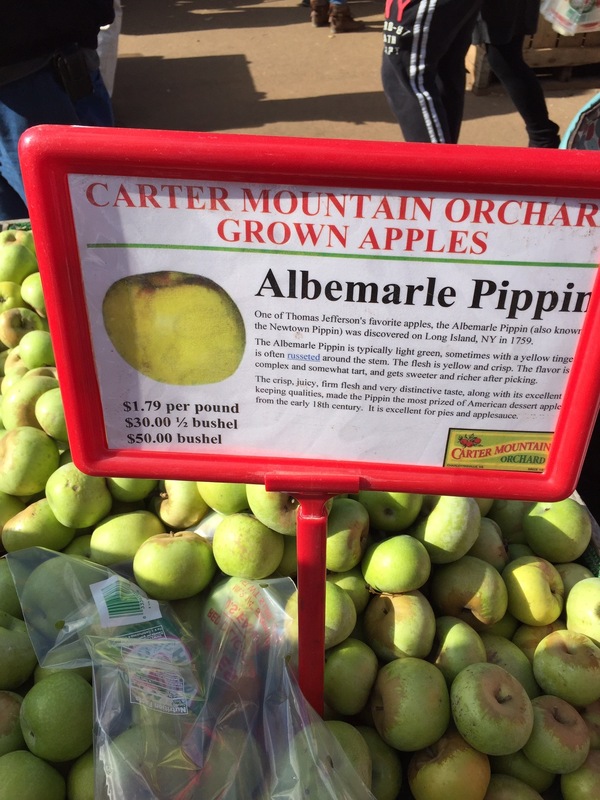 We picked up Albemarle Pippins and Wine Sap apples, purely as we’d never heard of them. 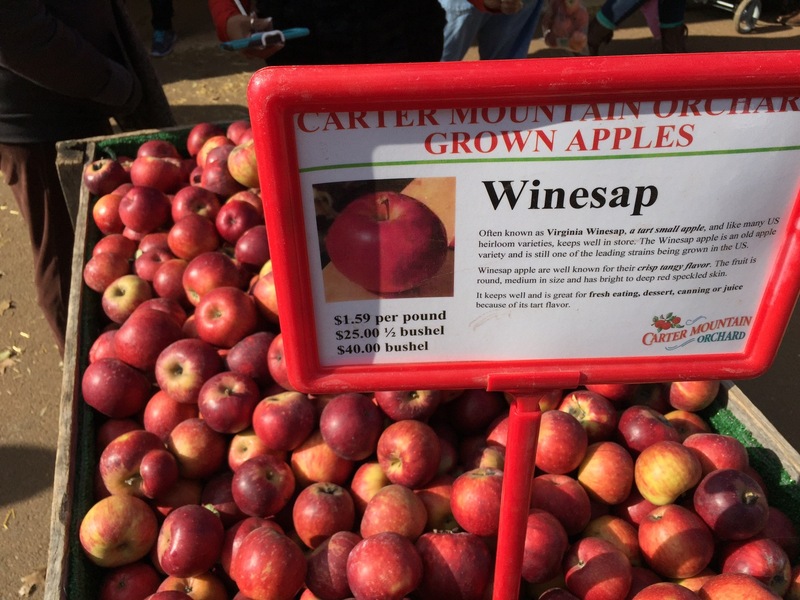 The Wine Sap apples are gone, and we’re still working on the Pippins. We also picked up some fresh (non alcoholic) apple cider to bring home. 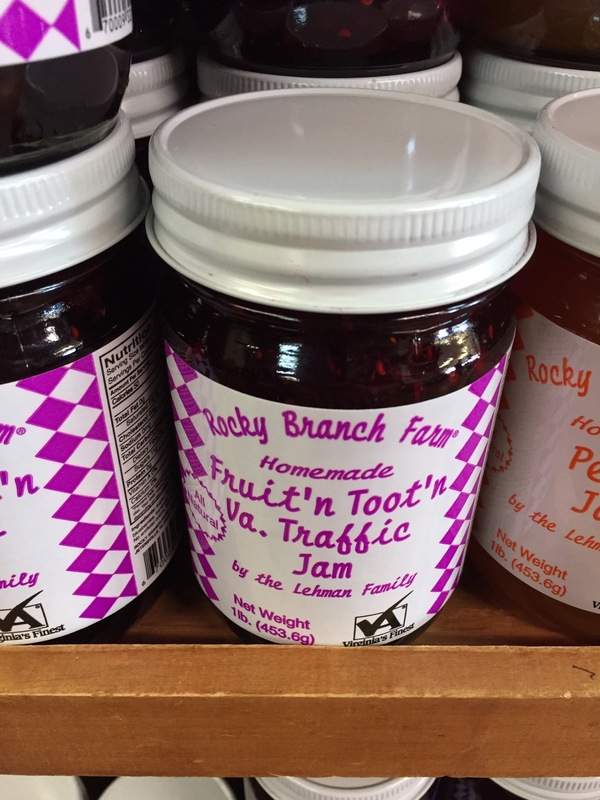 They’ve got a massive store that sells all types of local jams, honey, wine and more than you can shake a stick at. I could seriously blow my savings there. 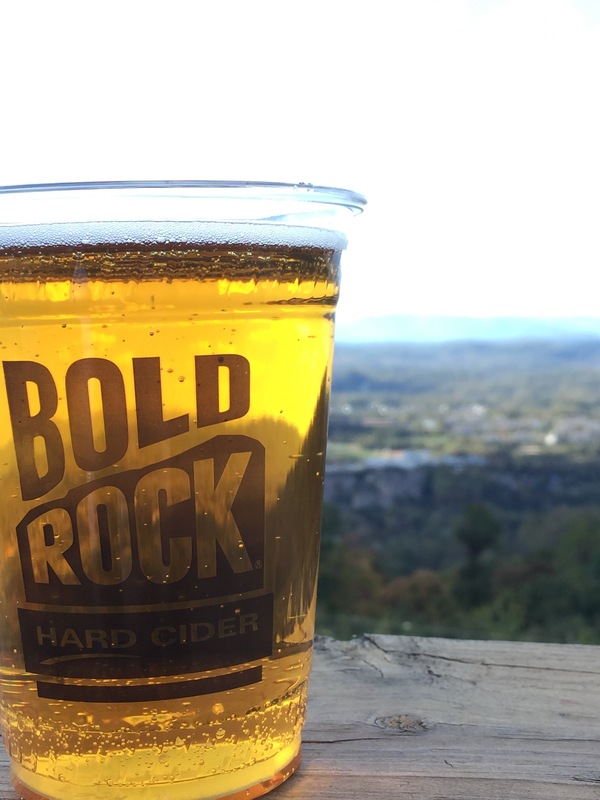 We then ventured to the Bold Rock Hard Cider Cellar to grab a couple of cold pints of local hard cider. They were so good, we wound up having to bring a mixed six pack home! 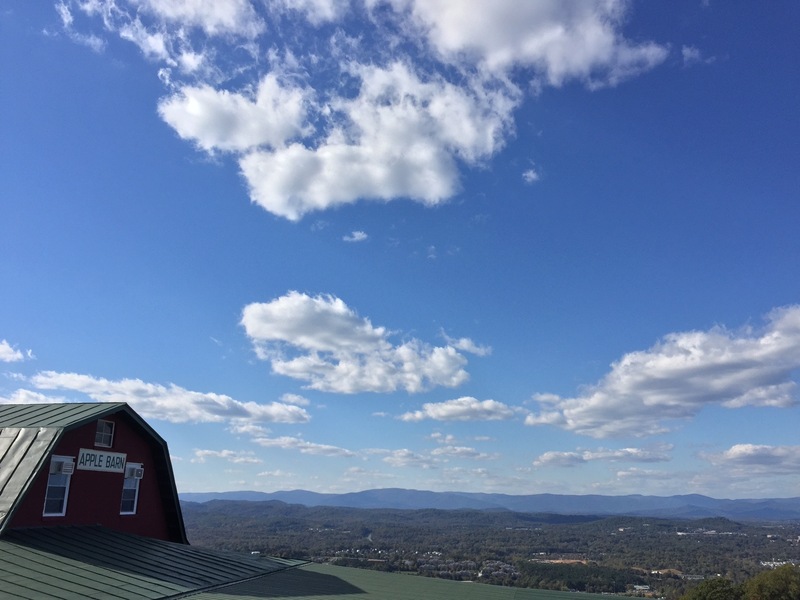 Before leaving, we decided we just had to try Carter Mountain’s famous Apple Cider Doughnuts. Stay with me here. The line was long. Super long. Like, Black Friday at Walmart long… and it moved just as fast (or not). We stood in line for over an hour for fresh, hot, amazing doughnuts. They’re so good and so sought after, that everyone in line was good natured about the wait and in high spirits. That’s how we knew they were worth it. 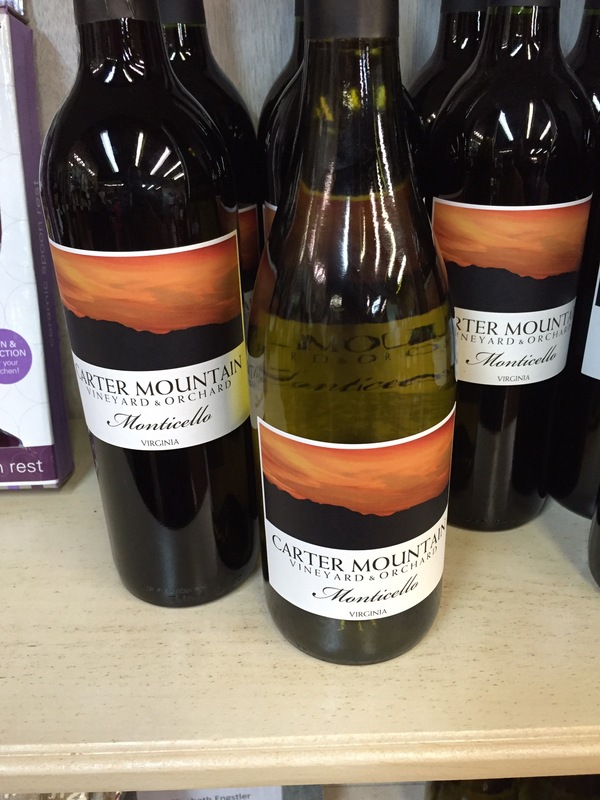 We bought a dozen, mauled two each as we took in the view for the final time, and brought them home and froze them for later use… as recommended by one of the Carter Mountain employees! All in all, a great afternoon. We’ll definitely be back in the summer for the peaches, and for their Thursday Evening Sunset Series when it starts back up next year. And let me just say that right this very second, as I’m typing this, I’m sitting on the top step of my back porch in the growing dusk, sipping on hot cider (spiked with Apple Jim Beam, of course) and thinking about how I’m already thinking of this place as home. It’s weird how I’ve just fallen into the vibe and the slow pace so quickly, particularly after coming here from London. I’m already wearing plaid flannel shirts, for cryin’ out loud!